Harvest keeper vacuum sealer commercial grade is a premium heavy duty vacuum sealer. 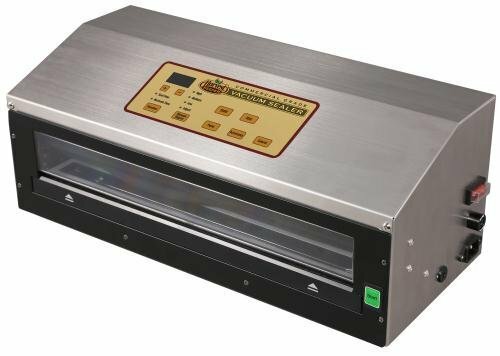 The harvest keeper vacuum sealer is constructed from durable stainless steel material & features a digital display board for adjusting settings. Incorporated in the design is preset function control options which allows you to choose seal time, vacuum level & marinade mode making this unit the most versatile sealer in its class. This unit is fully automatic. Once your settings are selected press the "start" button & let the Machine do the work. The harvest keeper vacuum sealer allows you to control the seal time of your bags between a 5-8 S range. Sealing time depends on the thickness of bags & the material-type of the bag. Choosing the Degree of vacuum you want to use has never been easier, simply select high, medium or low. Accommodates up to 15" wide bags or rolls. If you have any questions about this product by Harvest Keeper, contact us by completing and submitting the form below. If you are looking for a specif part number, please include it with your message.